33 days challenge has come to its end now. I loved doing this challenge, i learned new things and tried my best to keep up with the challenge. Today's theme is Freestyle. 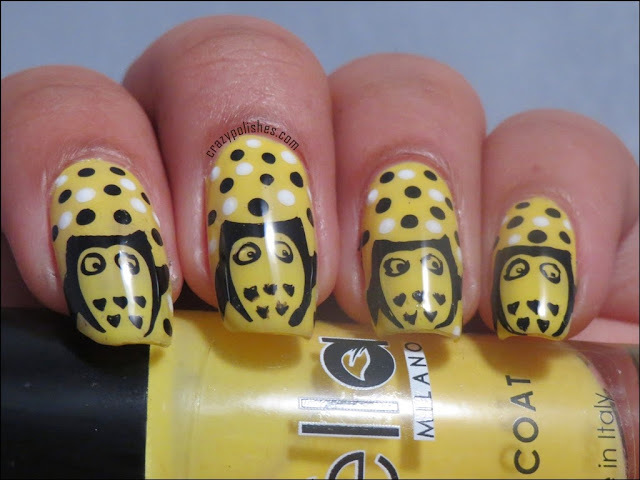 I did a classic stamping manicure today. 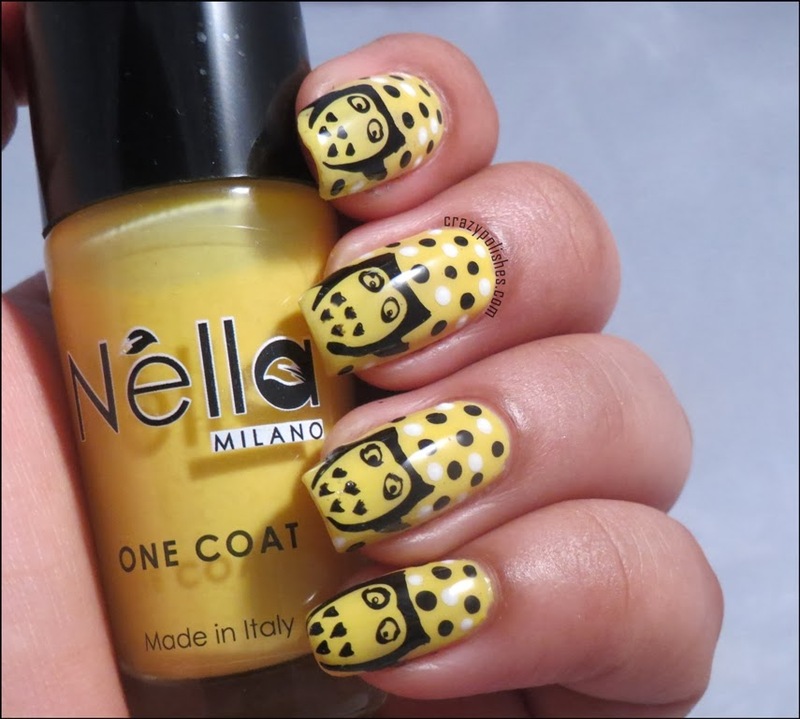 Nella Milano polishes are lunched by Moyou Nails. These polishes are described as one coat polishes. Today, I have Sunny Yellow to show you. 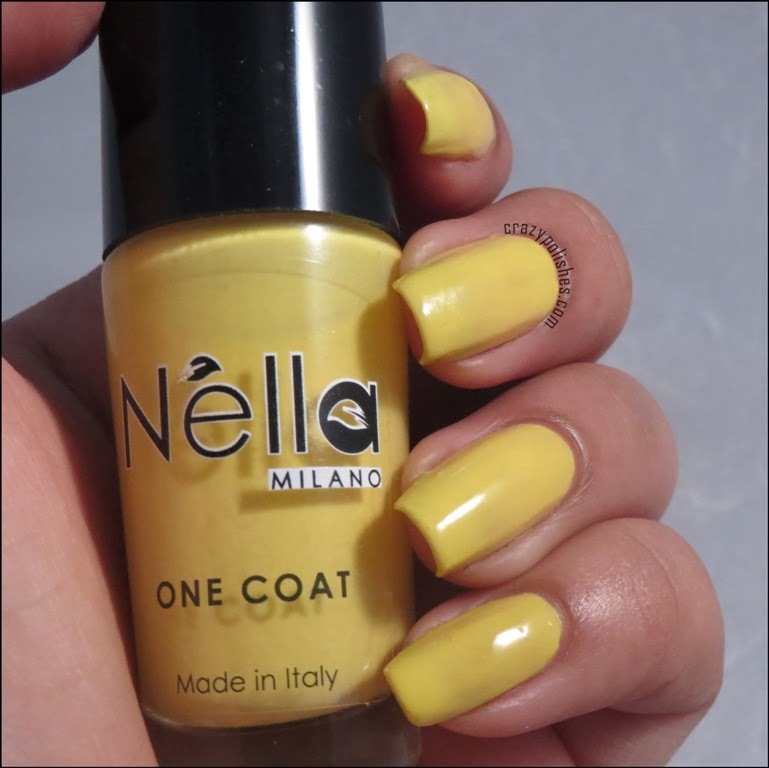 Sunny Yellow, as the name suggest is a nice yellow creme polish. Formula vise the polish is very good. 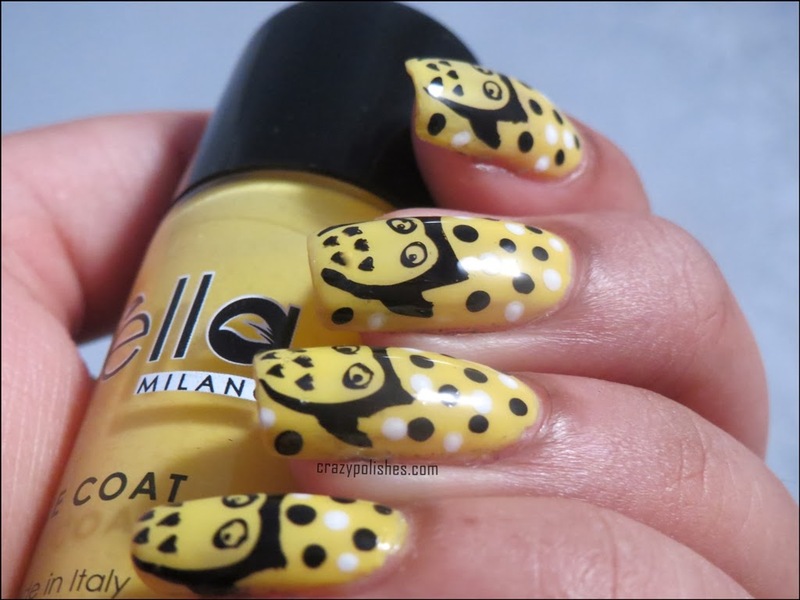 As compared to other yellow polishes, it is less streaky. Though the polish needs two coats but it is still better than yellows i have. I believe may be it can be managed with one coat on shorter nails. These polishes are very shiny. 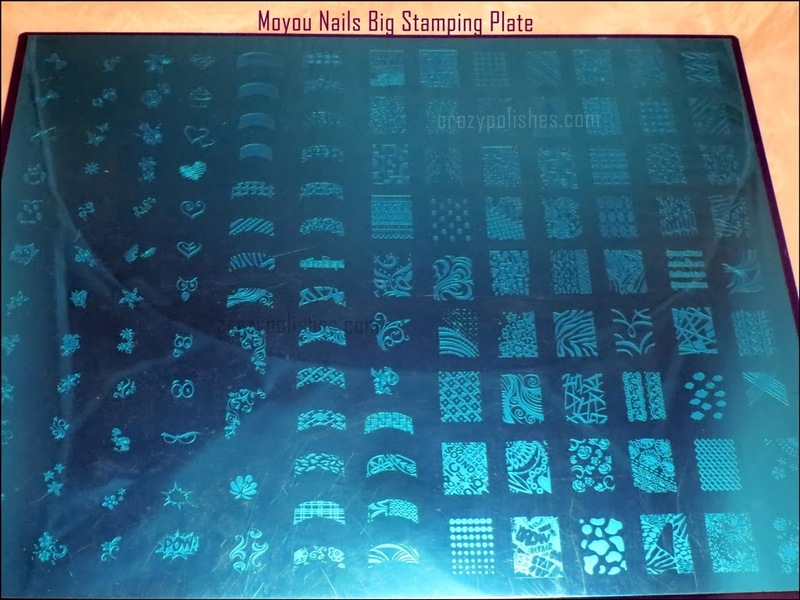 Moyou Nails recently launched their Big Plate 6. It is a huge plate having mix of small single, french and full nail images. Many of these images we have seen across many brand, but the left part of the plate looks more attracting to me, specially the owl and heart images. 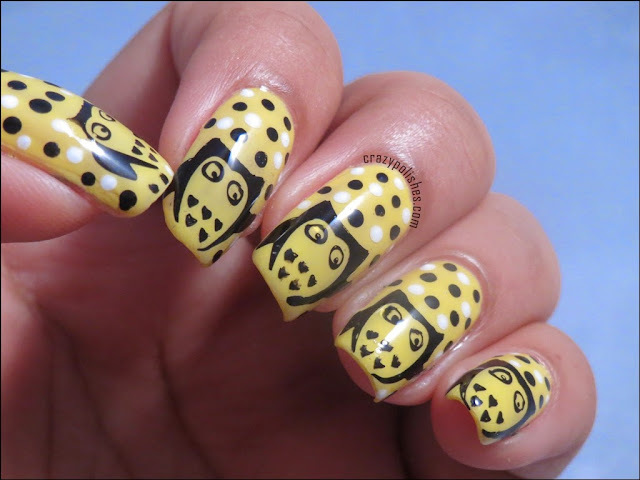 If asked, i honestly didnt like this plate, detailing is bad, some images are good but some are horrible like both the dots full nail stamp, the dots are unshaped and are not even proper dots, the flower full nail image, crossed line pattern in the right most column, leaves in small single images and many more. Stamping quality vise this is good. The images stamps well. You can see and buy Nella Milano polishes, Moyou Stamping Polishes and Stamping Plates from Moyou Nails website. You can also follow their FB page for announcements and other news. **polishes and stamping plates provided for review but that doesn't affect my opinion.